Elvin W. "Rollie" Groff, 89, of Lancaster, passed peacefully on Monday, January 14, 2019. Born in Bird-in-Hand, he was the son of the late Aaron and Mable Witmer Groff. He was the loving husband of Lucinda Summers Groff. Elvin grew up on and worked the family farm until 1983. In retirement, he worked several jobs including, school bus driver for Conestoga Valley School District, delivery driver for Achenbach's Bakery and an Amish taxi driver. He was a member of Lafayette Lions Club, and the Millcreek Sportsman Club where he was a past treasure. He was also active with the Bird-in-Hand and Witmer Fire Companies. 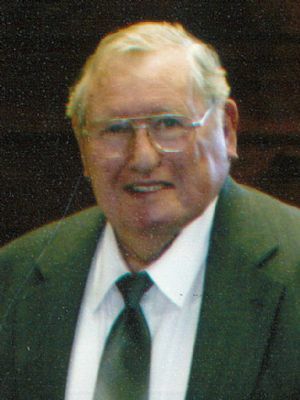 He was an active member of Conestoga Church of the Brethren, Leola where he also served as head usher. He enjoyed spending time with his family, especially his grandchildren, and will be remembered for his generous heart. In addition to his wife, he will be missed by: 5 children, Shirley Leed, Denver, E. Robert Groff, Paradise, Nancy wife of Michael Shrom, Ephrata, Ray Groff and Jeffrey husband of Donna Martin, both of Lancaster; 10 grandchildren; 10 great-grandchildren. He was preceded in death by a brother, Aaron. Funeral services will be held from the Conestoga Church of the Brethren, 141 E. Main St., Leola, on Monday, Jan. 21st at 11 am with interment following in Bareville Cemetery. Friends may call on Sunday from 6 to 8 pm and Monday from 10 to 11 am, all at the church. In lieu of flowers, contributions may be made to the American Cancer Society, 314 Good Dr., Lancaster, PA 17603.